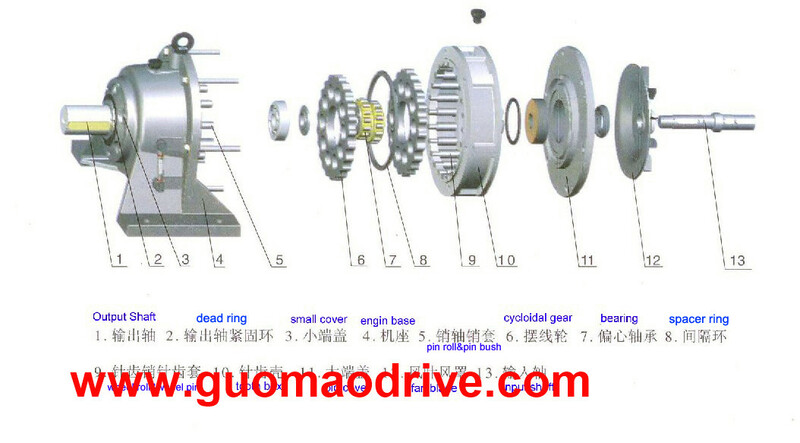 Recently, from the year 2013 standard committee cyclo gear reducer standard triage was informed Cycloid Drive Part 1 Basic terminology GB / T10107.1--2012, Cycloid Drive Part 2 illustrates a method GB /T10107.2--2012, Cycloid Drive Part 1 Symbols of geometrical GB / T10107.3--2012 three new national standards and other gear, Publicizing officially released at the meeting. 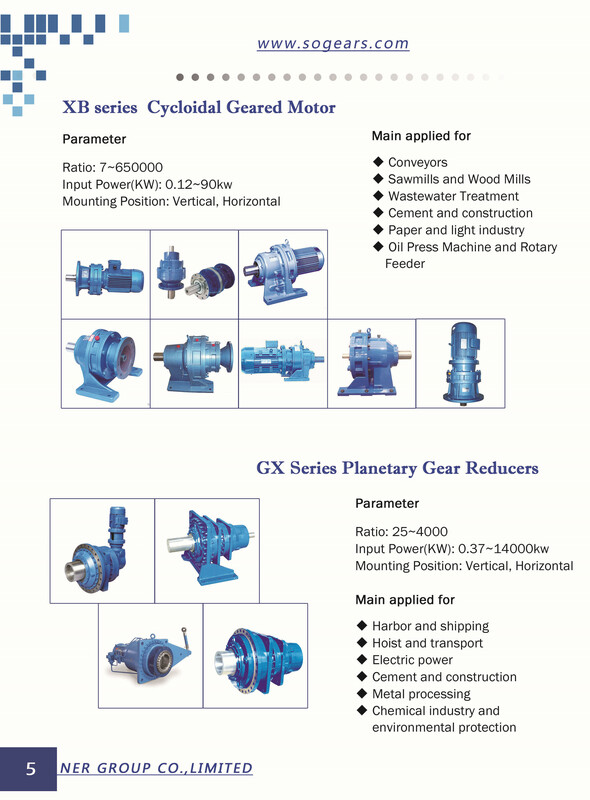 standard cyclo gear reducers foot mounted cyclo drive gear reducer it has single stage cyclo drive gear reducer , double stage cycloidal gear reducer .foot mounted type cycloidal speed reducer X series, single stage, foot-mounted XL.. The meeting will also review by the cycloidal reducer, the newly revised standard 11 CVT gearbox, worm gear and test methods to detect and five standard method; Mechanical Science Research Institute Certification Center Jinzhu Ren made About EMS / OHSMS24001 / 28001-2011 standard Publicizing; Scientific Research Institute of China China Industrial Productivity Promotion Center Jinwu Wang, director of the current slowdown in the industry standard status quo and revision of standards explained; Standardization Administration of China Mechanical Science Research Institute Director at the road by the forest significance and the role of standardization in the national production, made an important speech. In addition, the meeting identified 2014 annual work plan: 1. Call GB, line marked project proposals for standard age more than five years of standard revise, improve standards of level, a joint venture to study and explore reducer standard upgrade gradually to improve the technical level and quality of products to the world level; 2, organized and completed six industry standards revision; 3, the organization completed an industry standard-setting work, and so on. At the meeting, the machinery industry by gearbox standard committee said it would strive to provide more services in product standards and product quality improvement, etc., to advance the cause of our country by gearbox standardized by leaps and bounds, creating standardization situation, and make greater contribution. Attachment: 2013 standards by 11 standard committee is triage planet cone ring CVT, mechanical transmission test methods, multi-disc CVT, continuously variable transmission cone ring disc, cycloid reducer double cycloid reducer, cycloid reducer carrying capacity and transmission efficiency measurement method, cycloid reducer Determination of cleanliness, cycloid reducer temperature measurement method, cycloid Noise measurement method, WP series worm gear reducer; by five methodological standards in 2013 marked the Mixed Commission is cycloid reducer carrying capacity and transmission efficiency measurement method, cycloid reducer cleanliness measurement method cycloid reducer temperature measurement method, machine noise measurement method, mechanical CVT test methods cycloid.